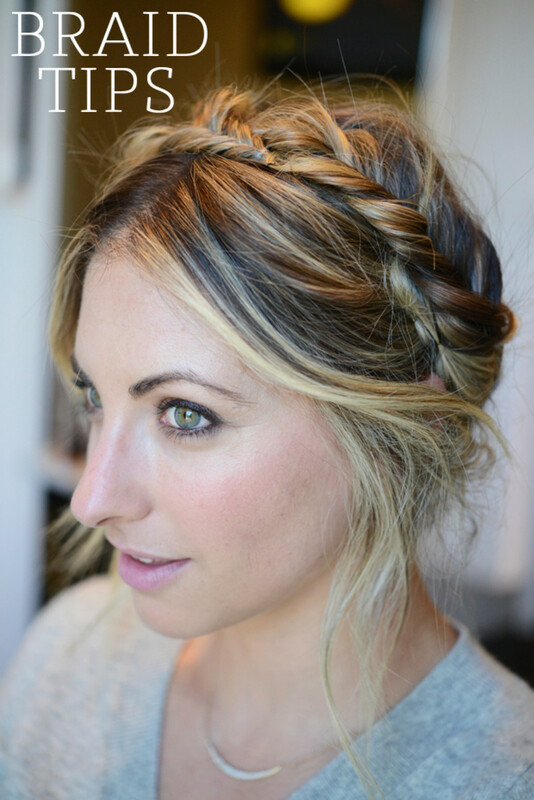 Though it sounds rather obvious, there&apos;s no right place/side/way to do an updo. If you look best with a part down the middle, with loose tendrils around your face or with a bit of height, do that. Everything is entirely customizable, so you should pay attention to what makes you most comfortable. 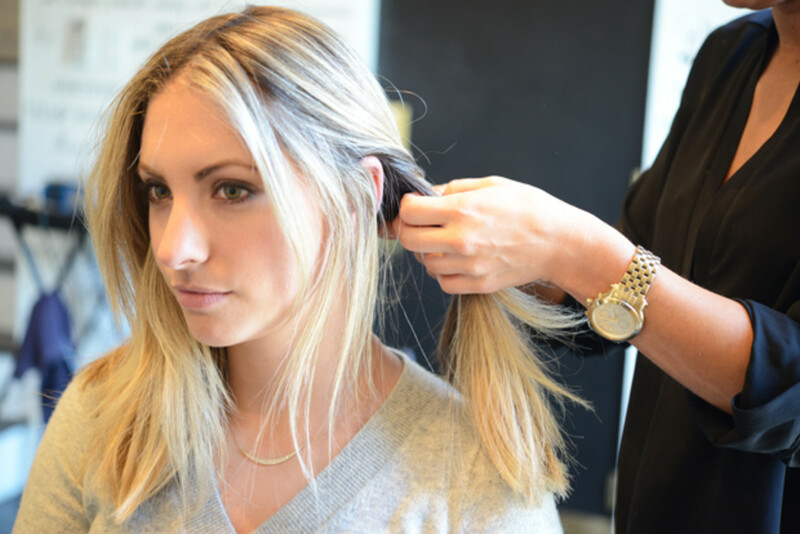 An easy rule to follow: if you have thin hair, start with a smaller amount. If you have thicker hair, start with a larger amount. 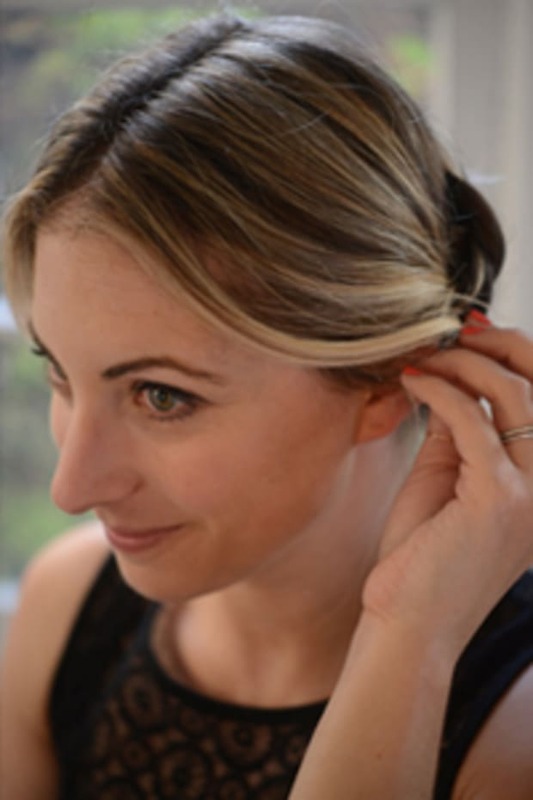 Also, when it comes to fishtail braids (check out my tutorial from a couple of years back), start with more hair to get the look started, eventually using smaller pieces for a more dramatic look. 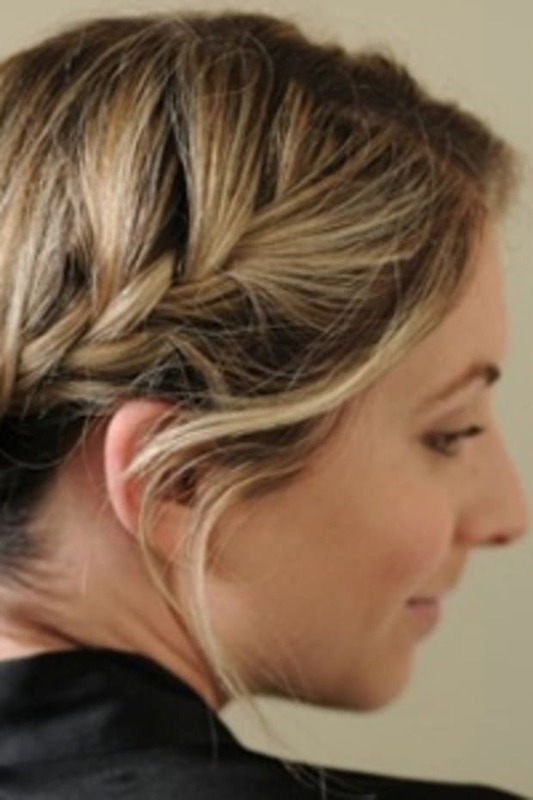 Start the braid, no matter what style, super tight. 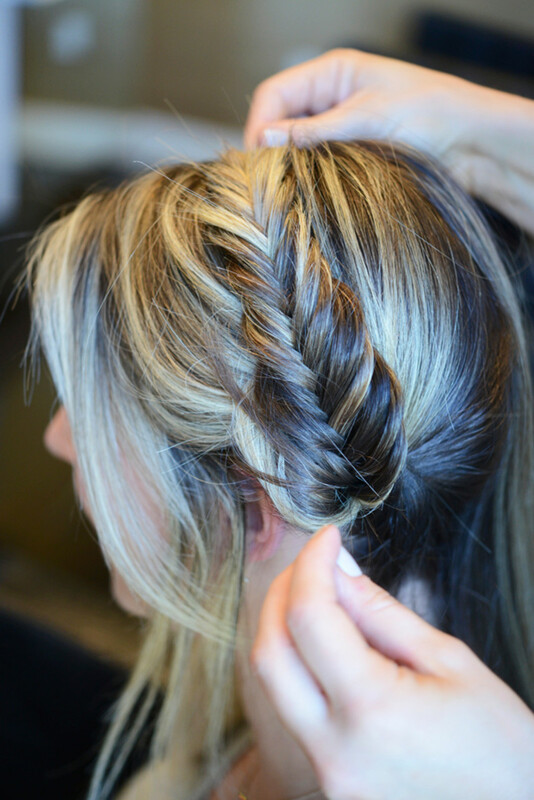 You can always loosen the braid later, but you can&apos;t do the opposite. Since I like the look of looser updos, I always used to start with them practically already falling out. But that meant constantly trying to clean them up as I went, relying too heavily on bobby pins. I&apos;m a perfectionist, and when I used to work on updos that started veering towards messy, I&apos;d abandon ship and start the whole thing over. What I learned though, is that messy isn&apos;t a big deal. Not only does it make the entire look a bit more effortless and romantic, but those little bumps/loose hairs can be fixed later on. 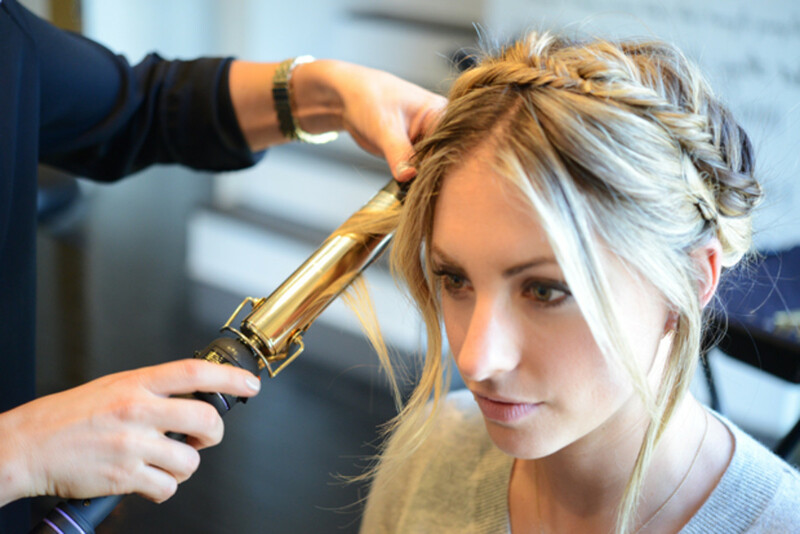 Having the right tools is essential for hair styles that look professional and not like something you had done at a slumber party. 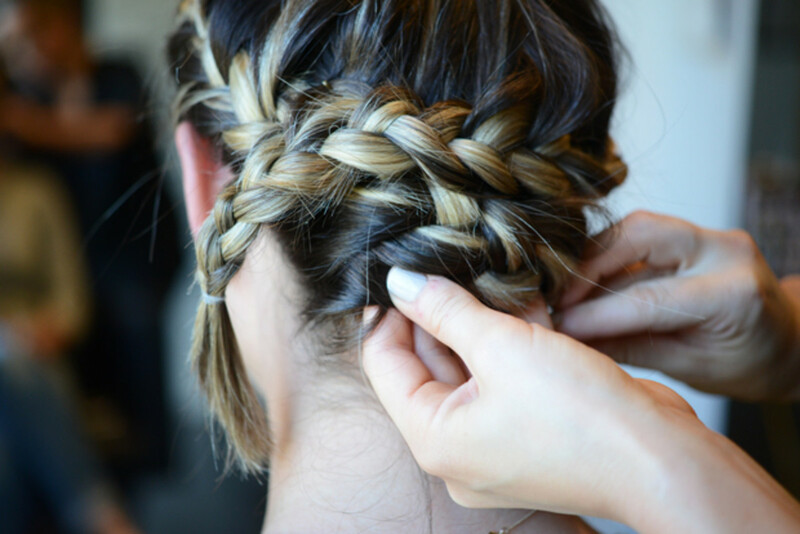 Tiny, clear rubber bands as well as good bobby pins that match your hair color will make the entire thing look more polished. 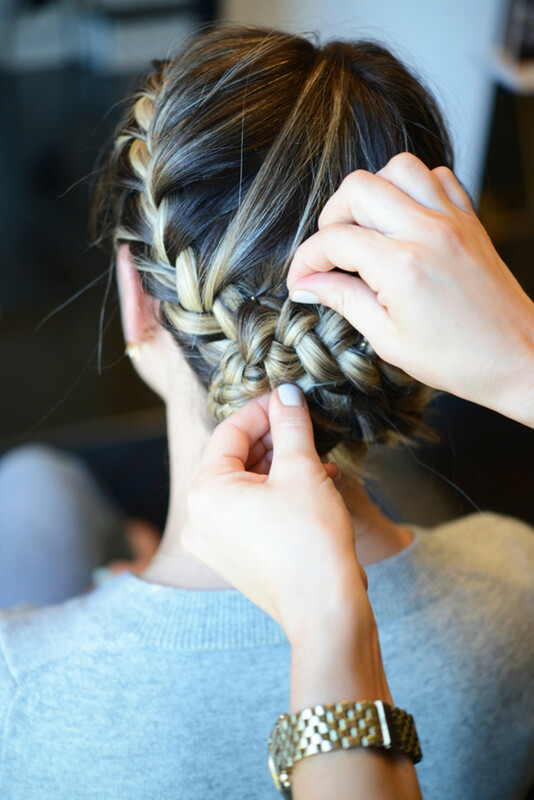 Criss crossing your hair, either in the back or on top of your head, is a great way to make a simple style look more intricate. 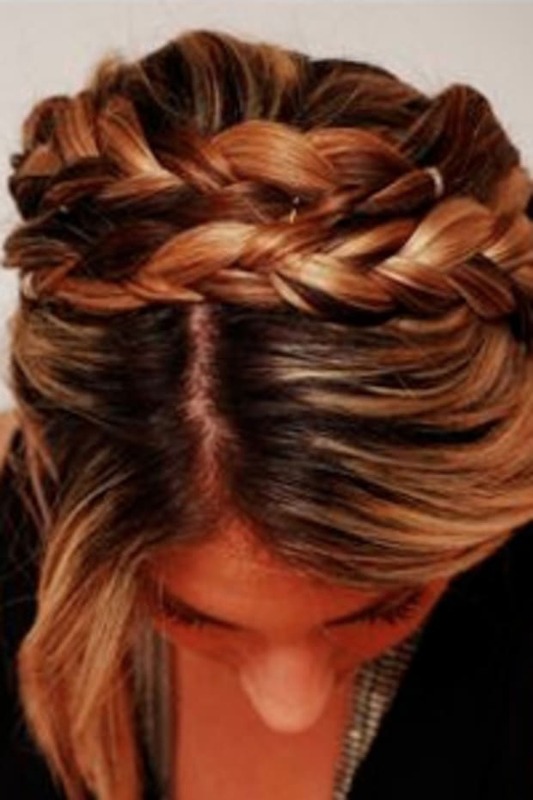 It&apos;s also good for hiding the ends of your hair (just tuck them under the other strand). 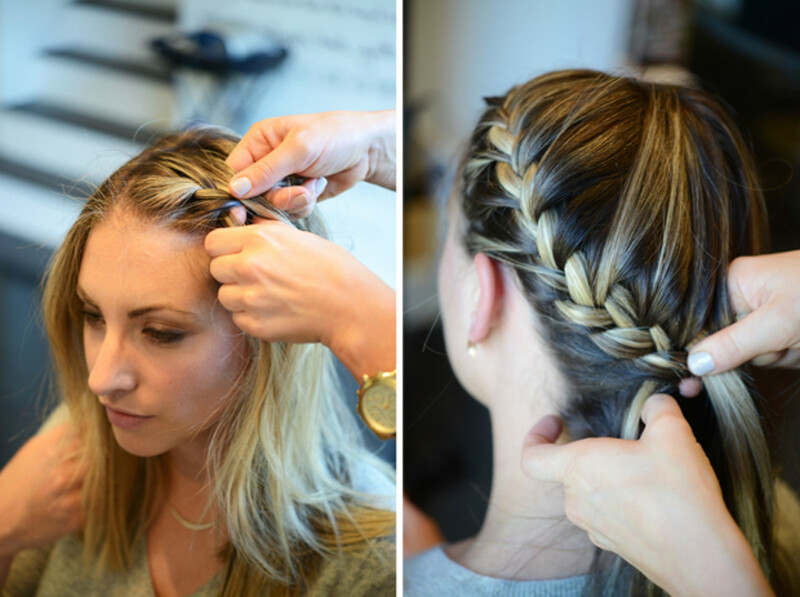 When it comes to braiding your hair, don&apos;t just focus on the front. Make sure it looks good from all angles, including the back. 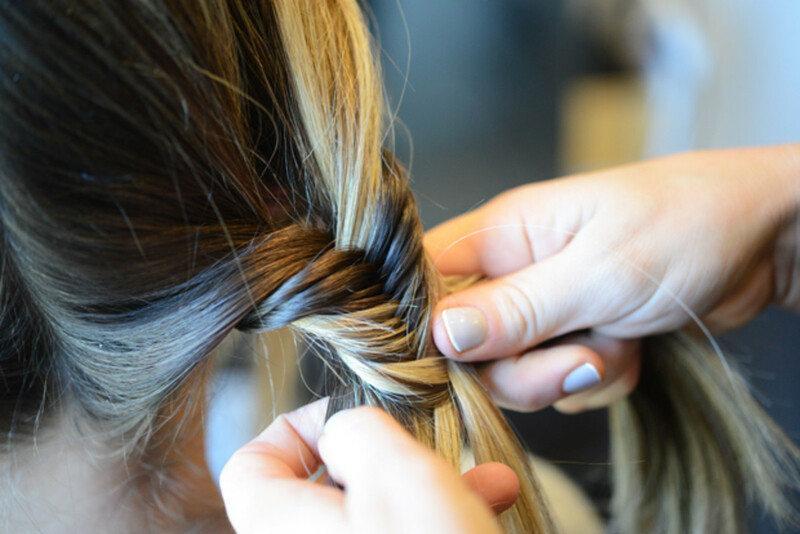 To make it easier on yourself at home, split your hair in two and pull both sides forward. Make sure to use mirrors and check for loose hairs while you go, not just at the very end. 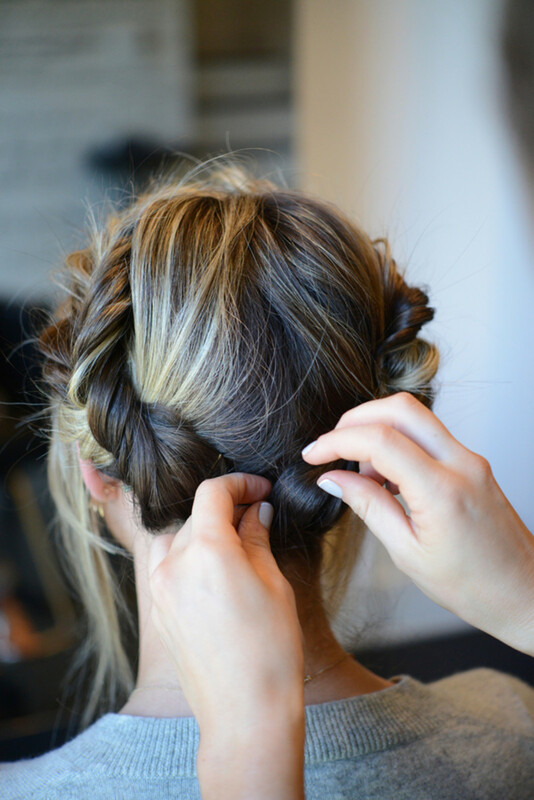 After your updo is complete, gently pull apart the braided sections to make them more substantial. It gives a bit of height and loosens up the style so it has a more natural, lived-in look. I follow a rather loose schedule when it comes to my hair. When I first wash it, I wear it blown out and straight. After a couple of days though, I find that it looks best when it&apos;s pulled back. 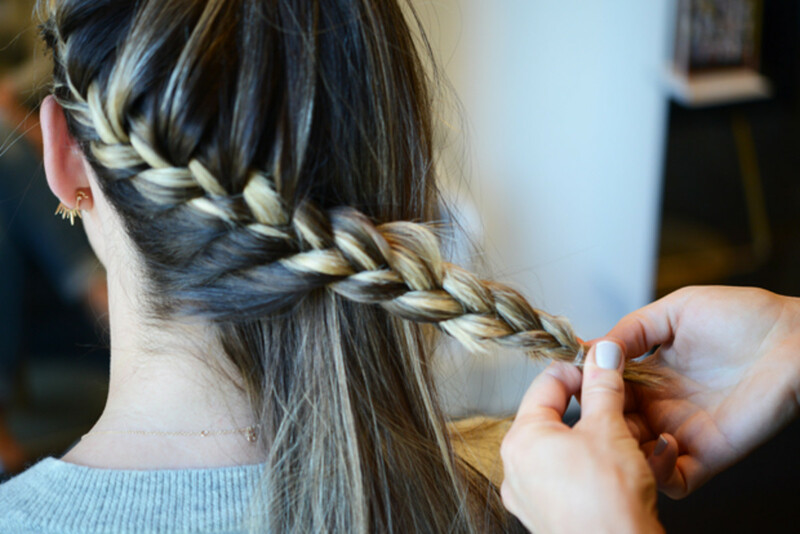 Hair that&apos;s not too squeaky clean is best for braids, but if you add a touch of texturizing spray to freshly washed hair, it adds just enough friction so it&apos;s easy to work with.